We are delighted to add a new LP release by Drone-mastermind Expo ’70 aka Justin Wright to our output! “Kinetic Tones” will be limited to 500 copies on bronze vinyl, and is dedicated to the critically endangered Flores hawk-eagle, of which less than 100 pairs remain in the wild. The records are currently being pressed and expected to arrive in early December. More news and pre-order info will follow soon! Hellvete and his buddy Bear Bones, Lay Low, both ex-members of the mighty Sylvester Anfang II, will contribute brand-new tracks to a very special split tape on Oaken Palace Records! This should be out before Christmas and we expect it to move quickly, so stay tuned for more info! Donation info: Blown Out – Planetary Engineering is making profit! Not even two months after its official release, Blown Out’s newest work has already covered cost and made around £100 of profit. This means that every purchase from now can be regarded as a 100% donation to the Durrell Wildlife Trust, who work towards the protection of the Aye-aye, an endangered Madagascan lemur that suffers from quite a bad image – native superstition sees it as a symbol of death! Help us to raise even more money for the protection of the Aye-aye, and get your copy in the Oaken Palace Store or on Bandcamp! 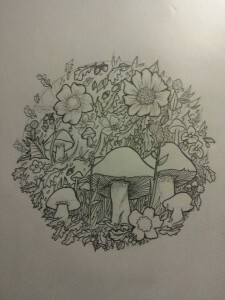 Get 1/3 off the remaining Oaken Palace label shirts! We only have four label shirts left – 2x small, 1x medium, and 1x extra large. This design will not be re-printed, so get yours before it’s too late! The profit made from selling the shirts is currently clocking in at just above £260, and after the shirts are sold out, everything will be donated to Wildlife SOS in order to help them free even more Indian circus elephants from their horrible living conditions. Get your shirt in the Oaken Palace Store, either on its own or together with the new Blown Out LP! 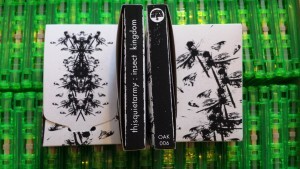 We are also running low on several other releases – there are only 12 copies of thisquietarmy’s Insect Kingdom tape left, 6 in the label store and 6 on Bandcamp. Finally, we only have 9 more copies of Eternal Tapestry’s Guru Overload – 4 in the label store and 5 on Bandcamp. Better be quick! 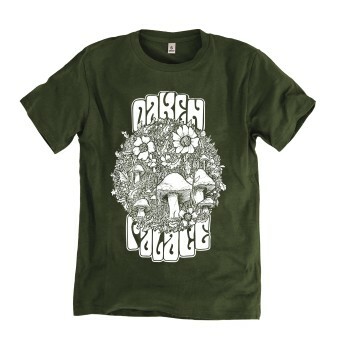 It’s been months in the making, but now you can finally buy the very first Oaken Palace label shirt in our shop! The shirt colour is a beautiful dark pine-green with white print. Artwork by Wired To The Moon, who also designed the label logo. We will collect pre-orders until 5th June, and then decide on the total amount of shirts that will be produced. So if you want to make sure that you will get a shirt in your size, we strongly recommend pre-ordering a shirt before 5th June. The shirts will arrive approximately three weeks later, on 26th June. All shirts are made from certified 100% organic cotton, produced by an ethically accredited and wind-powered factory. The profits will this time be donated to Wildlife SOS, an Indian environmental organization that has embarked on the ambitious project to free all remaining circus elephants in India. Due to long lawsuits, this will cost millions of dollars, and we want to contribute to this great cause. Read more about the project here, and the great story of their last rescue here. Pre-orders for Blown Out’s new album Planetary Engineering are now live! Important release date info: Unfortunately, the Record Store Day madness is now also affecting Oaken Palace Records. Due to RSD backorders, all pressing plants are currently struggling to keep the usual turnaround times. At the moment, we just have a system-generated ETA date, but we hope that the records will be delivered in July. We are sorry for this delay! To make the waiting time a bit more enjoyable, you will directly receive a DOWNLOAD CODE FOR THE FULL ALBUM, no matter from which page you order, either directly from Bandcamp or via email. Thank you for your understanding! As most of you will know, Oaken Palace Records is a registered charity. 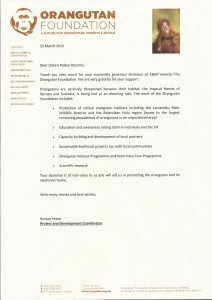 As such, we have to report our progress and accounts to the UK Charity Commission in a Trustees’ Annual Report. While interested people can also find this report on the Commission’s homepage, we have also published it on this website to increase transparency. You can find the Report by clicking here. Following in summer will be an all-new offering from Expo ’70, who has dedicated four beautifully crafted drones to the Flores hawk-eagle, of which only about 100 pairs remain in the wild. The album has been recorded directly onto 1/4″ tape and will get a fully analogue mastering for vinyl, i.e. the tracks will not be digitized at any point of the process for the best possible sound. 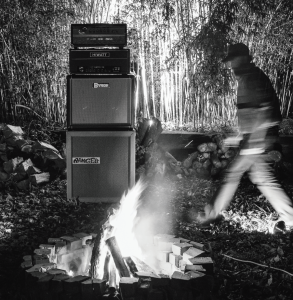 Finally, we have something really special for you: The last album in 2015 will be a new solo record by no other than Earth’s very own Dylan Carlson under his moniker drcarlsonalbion. As you might know, Dylan has a special relationship with the United Kingdom, and is very enthusiastic about this release! 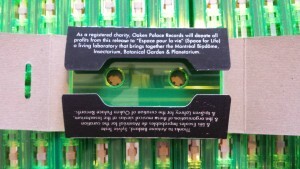 The covers for the first cassette release on Oaken Palace Records, provide by no other than thisquietarmy, arrived today! These are special folded and screenprinted covers made from 100% recycled card. I am still waiting for packaging materials, but once they arrive I will send out all orders. 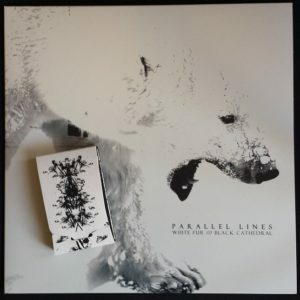 Note that there is also a special Eric Quach Fan Package available, which combines this cassette release with Eric’s side project Parallel Lines, who released ‘White Fur /// Black Cathedral’ as the very first LP on Oaken Palace Records.